OSWEGO — Dr. Andrew Nelson, emeritus professor and former director of SUNY Oswego’s Rice Creek Field Station, will discuss the impact of invasive plant species in a talk Saturday, Oct. 23, that will feature 700 plant photographs in his digital illustrated flora of the field station. 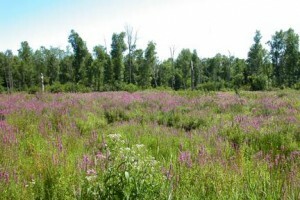 The free presentation, “Invasive Plant Species of Rice Creek,” will take place at 3 p.m. at the field station on Thompson Road, about a mile south of the main SUNY Oswego campus. 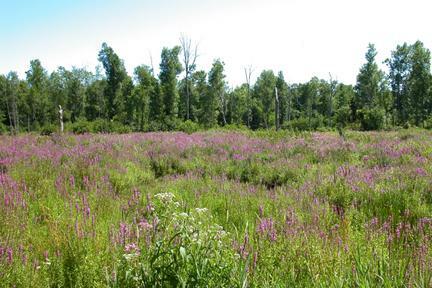 Nelson, a botanist and field biologist, will focus on the management of species such as purple loosestrife. The Eurasian native thrives in wetlands, and outcompetes and replaces native grasses, sedges and other flowering plants that provide a higher quality source of nutrition for wildlife. For more information, visit www.oswego.edu/ricecreek or call 315-216-6877.